The Boy Scouts of America (BSA) http://www.scouting.org is one of the nation's largest and most prominent values-based youth development organizations. The BSA provides a program for young people that builds character, trains them in the responsibilities of participating citizenship and develops leadership skills. Scouting is the ultimate form of learning by doing. For more than a century, the BSA has helped build the future leaders of this country by combining educational activities and lifelong values with fun. The Boy Scouts of America believes that helping youth is a key to building a more conscientious, responsible and productive society. The Del-Mar-Va Council was established in 1917 and serves over 9,600 families throughout the peninsula. Nearly 30 full time staff and more than 3,300 registered volunteers work with youth to teach them new skills, build their self-esteem and reinforce the values of the Scout Oath and Law. The Del-Mar-Va-Council is one of only eight councils (286 Nationwide) with four consecutive years of membership growth, putting the Council in the top 3% of the BSA. The Council serves over 600 families in outreach programs (in Wilmington, DE; Newark, DE; Salisbury, MD; and Cambridge, MD), providing programs to underserved neighborhoods in these communities. Over 63,000 hours of community service were logged in 2015. Through their projects Scouts contributed $1,453,410 in services to the local community. A record number of young men (186) attained Scouting’s highest rank, Eagle Scout, in 2015. Camp scholarships were awarded to 321 Del-Mar-Va Council Scouts. Day Camp attendance increased 17% from the prior year. Henson Boy Scot Camp attendance increased by 15%. Cub Family Weekend attendance increased by 17%. More than 18,700 Scouts and adults used the Council’s properties and facilities for summer caps, weekend activities, outing and training events. 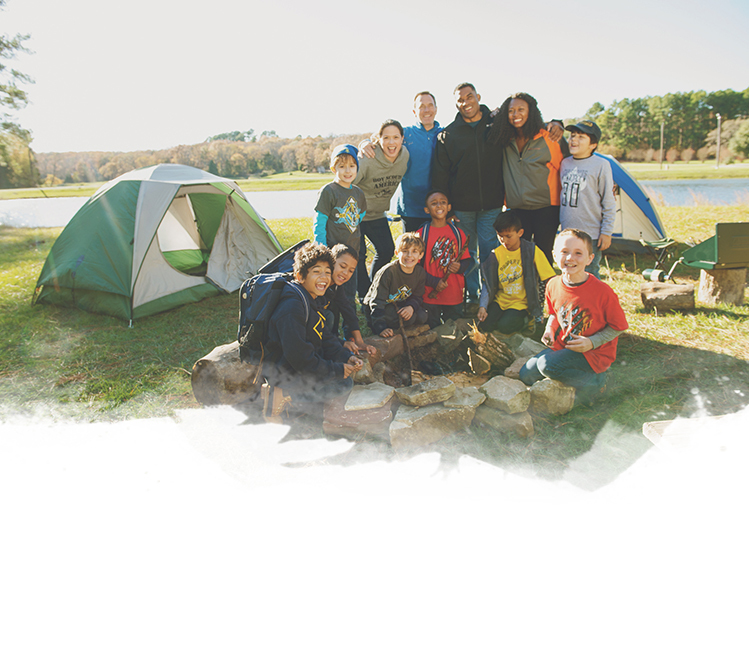 The Council was a 2015 National BSA “Gold” council recipient (awarded to the top 10% of councils nationwide). Requirements include: financial stability, camp attendance, quality programs, volunteer recruitment/training and membership growth. The Council is proud to consistently rank among the best in the nation in the “Voice of the Scout” results. This survey is administered twice annually and rates the satisfaction of parents, leaders and youth. The Council’s 2016-2020 strategic plan focuses on five strategic initiatives: leadership development; membership growth; branding and communications; quality units; and measuring outcomes. A research team from Tufts University worked with the BSA’s Cradle of Liberty Council to measure the character attributes of both Scouts and non-Scouts – all with a goal of better understanding the character development of youth as it was happening. More than 2,000 Scouts aged 6-12 from across Philadelphia were measured in six key areas: hopefulness (hopeful future expectations), obedience, cheerfulness, helpfulness, kindness and trustworthiness.